The White Rock Style salopettes are at the cutting edge of skiwear technology and ideal for all levels of skier or snowboarder. The Style salopettes are fully windproof with all seams taped and waterproof to an extremely high 8000mm hydrostatic head. This high waterproofing level is matched with their breathability rating of 8000gm ensuring you stay warm, dry and comfortable even in blizzard conditions. 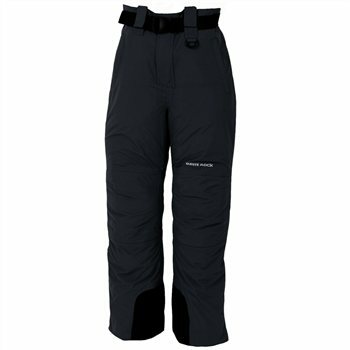 Constructed from Rip Stop Soft Tech Microfibre 8000 these ski pants are also fully micro fleece lined for extreme comfort and insulation. Featuring detachable braces, the White Rock Style Ladies Trousers are versatile to wear, have articulated knees for easy movement whilst skiing and come in a full size range. The Style pants also feature scratch pads, full leg gaiters and a belt as standard options with White Rock's luxury range. Now introducing the Style Plus Size Range: designed for skiers of larger proportions, the Aurora sizing allows extra room whilst still providing ultimate protection. Available in sizes 20 to 30, the Aurora salopettes allow everyone the chance to experience the wonder of winter slopes. Most popular White Rock women's salopettes last year!